Cute boy in biology class? Groom. We put together a list of the top ten best colleges to find a husband. After all, college is totally just about finding the perfect man, right? Nothing, and I mean nothing, beats a military man. They are strong, they have good values and they’ve got that hero thing going for them. 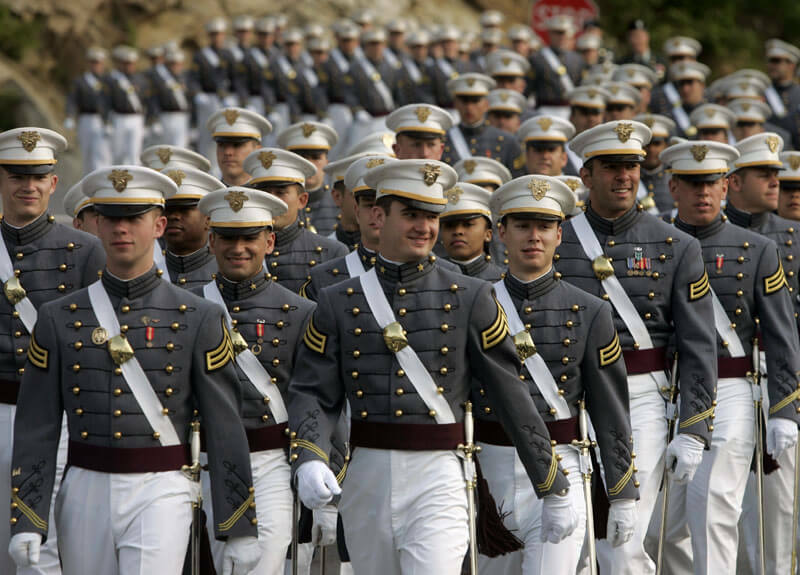 Forbes even ranked West Point at the top of their list for the nation’s best colleges overall. According to Forbes, the undergraduate experience at West Point and the other service academies is defined by an intense work ethic and a drive to succeed on all fronts. This combination helps mold a man that has book smarts, street smarts and let’s face it, weight room smarts. If that isn’t enough to convince you, recent graduates of West Point can earn about $70,000 per year as a second lieutenant. Rank and wealth: doesn’t that have a nice (left hand) ring to it?